Vancouver Island is a dream destination for food and wine lovers. In 2006, Saveur Magazine bestowed the island with the title of ‘new epicurean mecca of the west coast’. There is no short supply of farms and farmer’s markets, fresh seafood, restaurants and culinary schools. 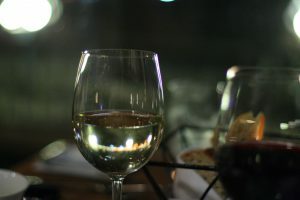 The wines produced at the many island wineries have received rave reviews and the slow food movement has gained a strong footing with farm to table meals offered by rural farmhouses to upscale city restaurants. Even in the more remote cities of Nanaimo and Tofino, top quality restaurants, often with stunning water views offer unforgettable meals using the freshest local ingredients. 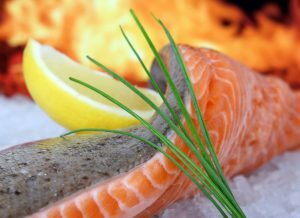 The cuisine of the island features salmon and other freshly caught fish and seafood as well as products of the many farms in the Cowichan Valley and around the island. 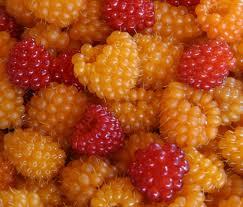 Additionally wild foods such as chanterelle, morel, and matsutake mushrooms, wild strawberries, blackberries, salmonberries and wild onions are key components. Be sure and try some cedar planked salmon and seek out the famously decadent Nanaimo Bar. 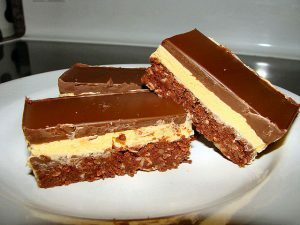 The Nanaimo Bar, which, of course, is claimed by the island’s second largest city, Nanaimo, is composed of a chocolatey cake-like crust, a custard filling and chocolate glaze. These delectable hand held treats are so well regarded that there is actually a Nanaimo Bar Trail, which if followed, will expose you to Nanaimo Bar lattes, martinis, truffles, ice cream, cheesecake and of course, Nanaimo Bars themselves in vegan, gluten free organic or–deep fried versions. Being someone who does not eat much sugar, I would probably die from this! Of course you can make them at home. Go to www.nanaimo.ca/EN/main/visitors/NanaimoBars.html to find the award winning recipe (there was a contest in 1986 with 100 recipes tested over the course of four weeks) and take a look at the Nanaimo Bar Trail brochure and map. Victoria is the most British city in all of Canada, and strangely, almost the farthest removed from Britain in terms of distance. Afternoon tea is served to guests in a variety of locations from historic homes to hotels. 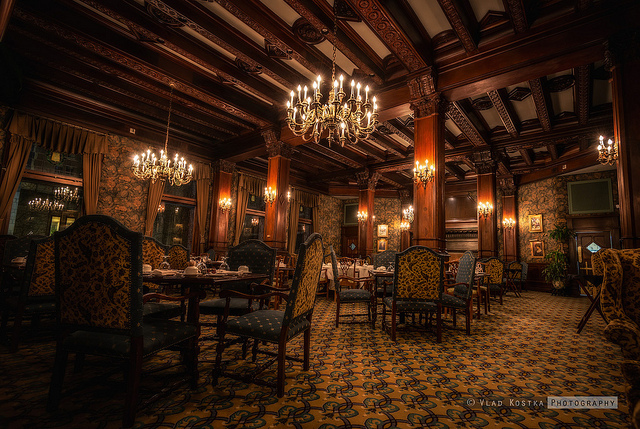 The most famous tea is most likely at the Fairmont Empress Hotel which has offered it for over a century in it’s elegant tea salon. The White heather Tea Room offers three sizes of afternoon tea, while at the Butchart Gardens, one may choose between afternoon tea or high tea, a more substantial, meal size offering. While on the subject of tea, the 11 acre Westholme Tea Farm in the Cowichan Valley, is a popular establishment serving over 100 tea blends sourced from around the world as well as 7 teas grown on site. There is a beautifully appointed tea shop and tea room at the farm where you can sip artisanal blends containing no synthetic essences or artificial flavorings. Check out their website at www.teafarm.ca. The Cowichan Valley is also the location of the Vancouver Island Salt Company whose motto is “In salt we trust”. Handcrafted artisan salts including pure sea salt, fleur de sel, smoked and flavored salts are offered at Canada’s first sea salt harvestry. Among the flavors are their popular blue cheese, orange and lime and balsamic vinegar salts. Food festivals and tours on the island include the Tofino Food and Wine Festival, which takes place this year from June 2-4 at the Tofino Botanical Gardens. The main event is ‘grazing in the gardens’, which is quite self explanatory. Other events include the launch party, a cocktail show, a schooner sunset barbeque and a morning after ‘bubbles and brunch’. 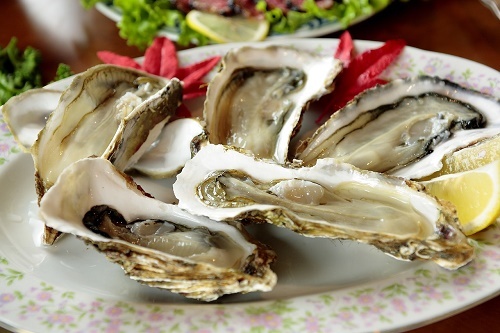 In the third week of November, the Clayoquot Oyster Gala takes place over the course of four days, also in Tofino. An annual event since 1997, this festival offers oyster farm tours, galas, competitions for cooking and shell decorating and the always sold out ‘Mermaid’s Masquerade’. Meanwhile, back in Victoria, ‘A Taste of Victoria Food Tour’ takes the visitor on a 2 hour walking and food tour, visiting significant food spots in Chinatown, Old town and the Inner Harbour. The tour includes 8-10 tastings and a healthy dose of Victoria history. The Sidney waterfront is the home of Victoria Distillers, which offers daily tours. One of Canada’s oldest, this distillery produces a variety of spirits, including Victoria Gin, Oaken Gin, Hemp Vodka, Craigdarroch Whisky, and a line of bitters and liqueurs. 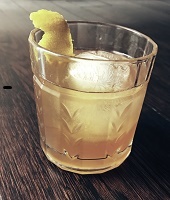 The distillery’s cocktail lounge features live music and tastings as well as a weekly trivia night. Before we reveal this month’s Vancouver Island inspired cocktail creation, it should be mentioned that the island is known not only for it’s food, but also it’s many excellent wineries and breweries. 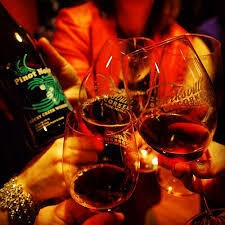 Enrico Winery is located in the Cowichan Valley and is very popular for it’s tastings and free self guided tours. Also in the Cowichan Valley are Averill Creek, and Venturi-Schulze Vineyards which produces balsamic vinegar, verjus and various jams in addition to it’s excellent wines. There are many more beautiful wines and vineyards awaiting exploration, but let’s move on to beer. Island Brewery in Victoria. Enjoy a tour of it’s facility or visit the newly renovated tasting room for “fun, authentic and shareable brews”. 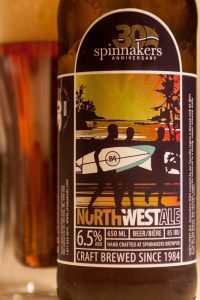 Other breweries that caught my attention were Spinnakers, Canada’s oldest licensed brewpub, which offers a farm to table menu and amazing water views in addition to authentic UK style beers, Category 12, whose head brewer and founder, Michael Kuzyk is a microbiologist and biochemist and calls the brewery a lab, due to continuous experimentation. ‘Bold beers for strong minds’ is a quote from their C12 thesis page. And why not try the kelp stout back in Tofino at the Tofino Brewing Company. That sounds interesting too. And now for some experimentation at home, this time by my wife who created this delicious concoction one night. I begged her to let me steal it for this site and she said OK. The reason it immediately made me think of Vancouver Island is because it closely resembles a cocktail we had in Pittsburgh at Spoon Restaurant called ‘Vancouver in a Glass’. This is made with Rye, while the other uses Scotch and adds tupelo honey. Shake all ingredients with ice. Strain into a rocks glass over 1 large ice cube and garnish with lemon peel.